My favorite Chinese movies to date have been Hero, Journey to the West, and Wu Xia (Dragon), but Shower, House of Flying Daggers, and Not One Less (pictured above), among others, are also of the highest cinematic quality. Films are a fantastic way to improve your listening comprehension if you are a student of Mandarin and constitute an integral part of the experiment I began exactly one year ago today. My updated Chinese films table is a great resource. But even if you’ve never studied Mandarin and do not intend to, you should definitely expand your cultural horizons and watch these masterpieces. The cinema of China alone (without counting Taiwan and Hong Kong) is the third largest film industry in the world. In this light, I wrote my first ever film review about my current favorite, Wu Xia (Dragon), which I think you will enjoy. I’ve watched it no less than five times since I first downloaded the movie in October. 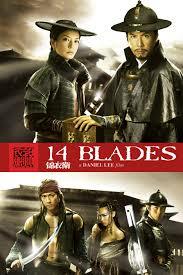 I intend to write other Chinese film reviews in coming months. In January, as I enjoyed my remaining vacation days, I watched six new movies. 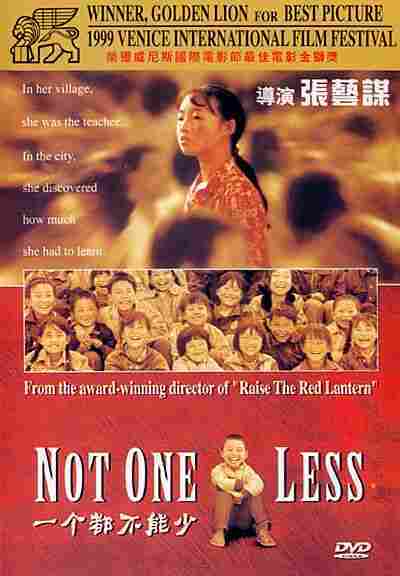 The best by far was Not One Less, another Zhang Yimou masterwork, but Aftershock is a worthwhile tear jerker. 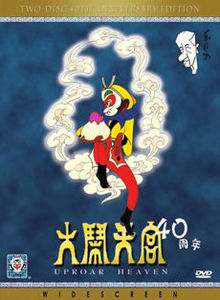 Havoc in Heaven (also known as Uproar in Heaven or The Monkey King) is an 1965 animation that is apparently as important to the Chinese as Wizard of Oz is to Americans. Rounding out the list are Mulan: Rise of a Warrior, 14 Blades, and Getting Home, all of which are undoubtedly worthwhile for students of Mandarin or Chinese cinephiles.